Three rivers surround 40,000 square kilometers of mysterious forest in the heart of the Democratic Republic of Congo (DR Congo). Until very recently, it was unexplored. It has no airstrips; its paths are without bridges. No four-wheel vehicles can come even to the sparse settlements, which are limited to the area’s periphery. 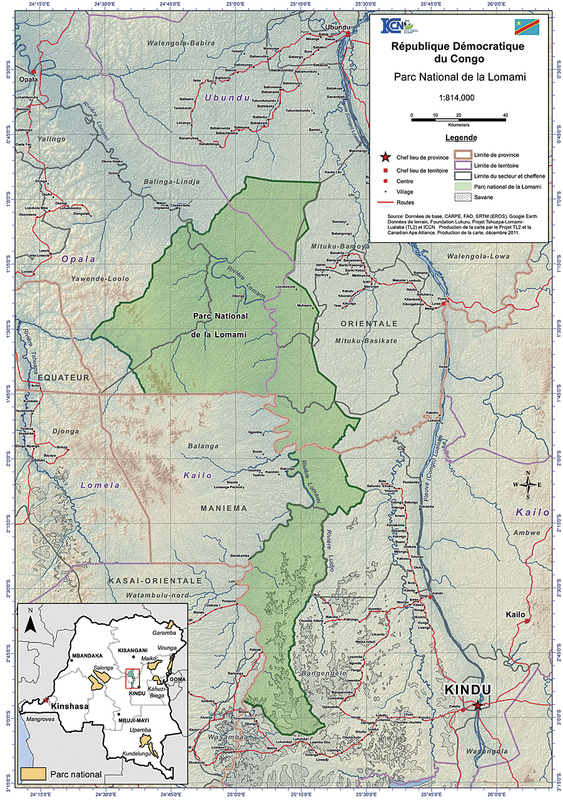 In 2007, an expedition—made up of conservationists with experience from exploration and wildlife inventory in other parts of DR Congo—entered this forest situated between the basins of the Tshuapa, Lomami, and Lualaba Rivers. 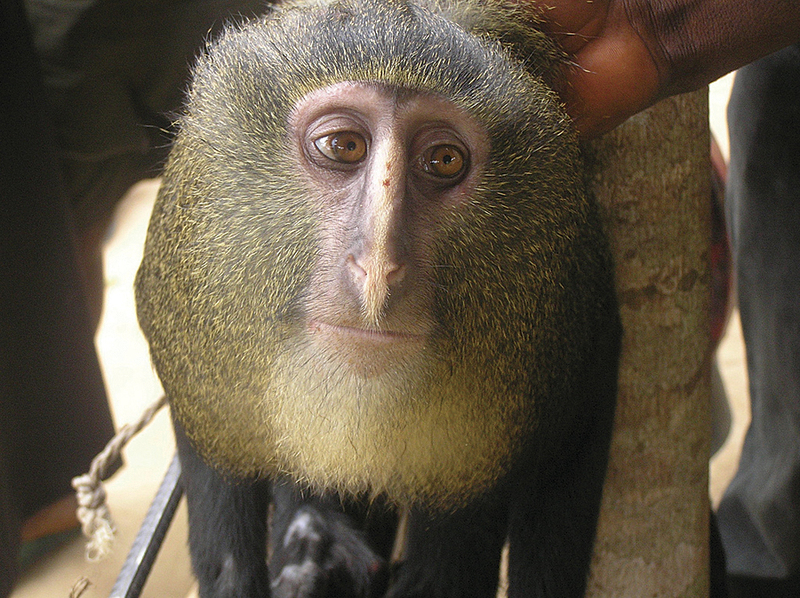 The TL2 project, as it is now known, was led by Lukuru Foundation researchers John and Terese Hart, who set out to survey large mammals and human activity and now are promoting the creation of a protected area in this, one of the world’s last unexplored tropical forests. From the beginning of their surveys, the Harts sought GIS support to explore; document; and, eventually, define the area for conservation. An innovative partnership was developed in 2007 with Canadian Ape Alliance, a nongovernmental organization based in Toronto, Canada. Nick January, a volunteer GIS application specialist with the alliance, directs the collaboration with Lukuru’s TL2 project through an Esri Conservation Grant, which has been generously supported since 2005. Fully equipped with multiple ArcGIS for Desktop, ArcGIS Spatial Analyst extension, and ArcPad licenses, the Harts are now able to capitalize on an existing mapping system that documents, stores, analyzes, and provides end products in support of their conservation efforts. The Esri Conservation Grant expanded as the TL2 project added staff and ArcGIS expertise. Esri’s technical and administrative support from both US and Canadian offices became critical to the GIS operation. Not only was a smooth integration and analysis of volumes of field data from a variety of sources possible but so too was a seamless transfer to web-based platforms, such as ArcGIS Online. With Esri software licenses and training materials, it was possible to have multiple installations under dispersed field working environments despite many hardware malfunctions.